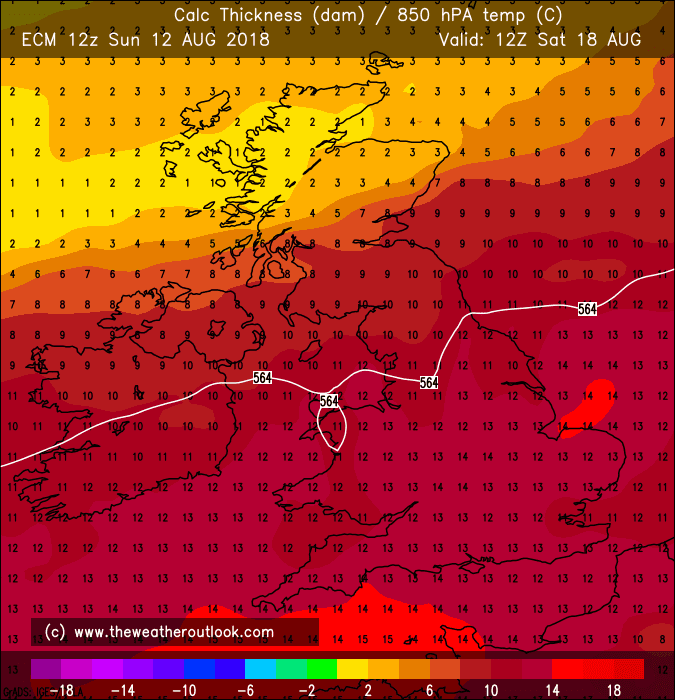 Morning all - the ECM raw data this morning has maxes at 27 on Tuesday, 28 on Wednesday, and then between 25 and 27 between Saturday and next Monday. 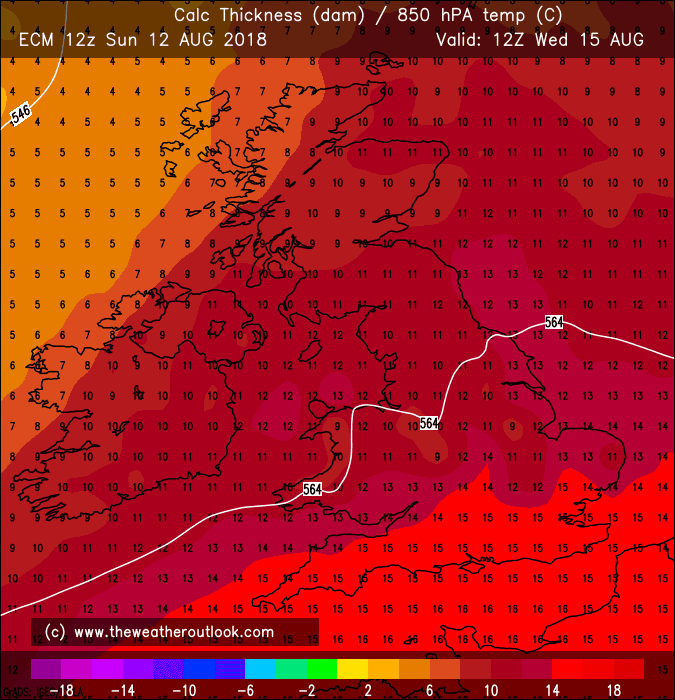 We've found during the summer we can add 2C to these raw values in optimum conditions, so pushing the high 20s or even 30C mark at the extreme. 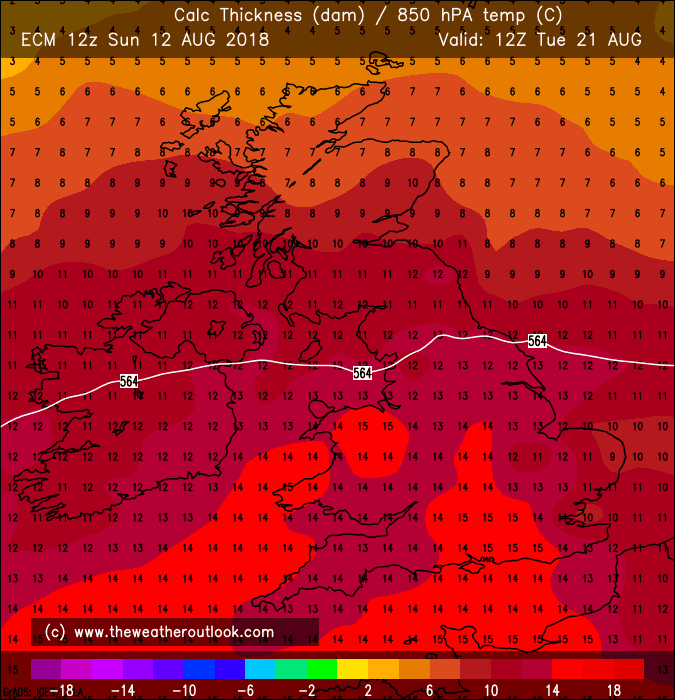 If we get 4 more days in excess of 30C this summer, that will be 30 times - a clear record. 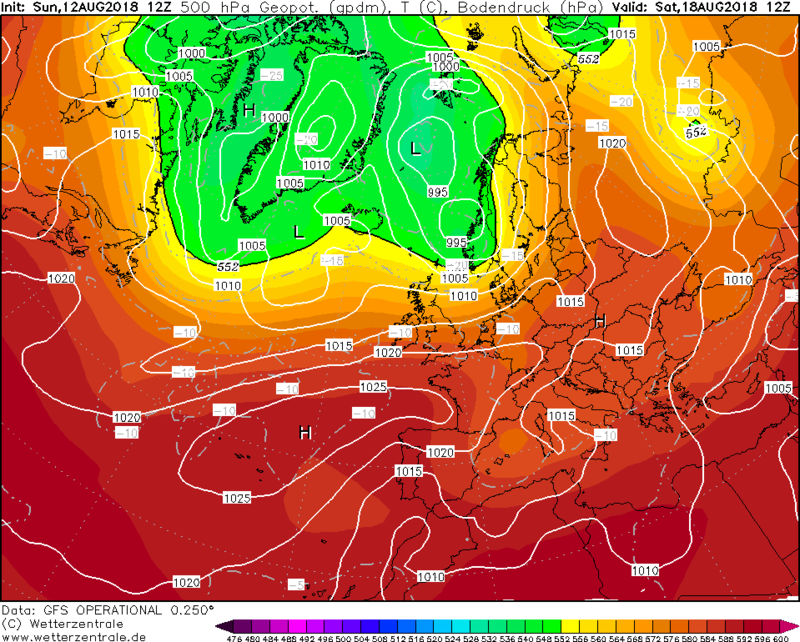 I'm feeling quite optimistic about a good weekend (except maybe far north) coming up as all clusters last night had the 582dam line at 500mb into the south or along the south coast- a good indicator of continental style summery weather. 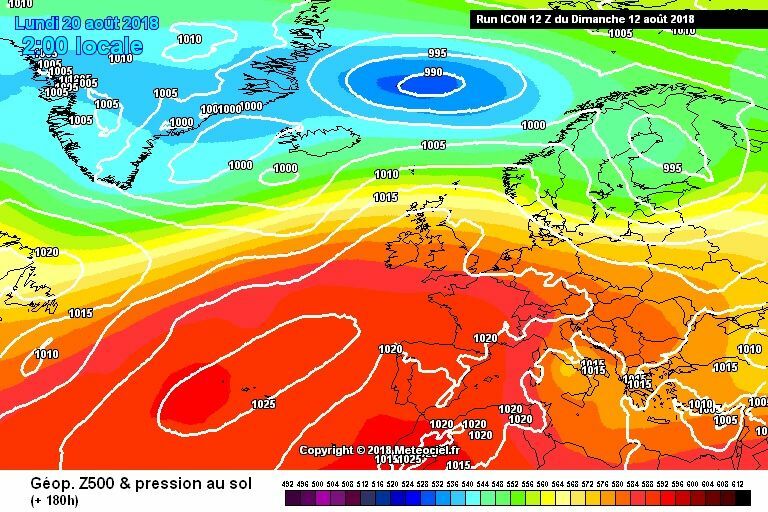 Pressure build across the UK during next weekend - check. Retention of a trough west of Europe with the ridge orientating to bring a continental rather than westerly flow - still in the works! 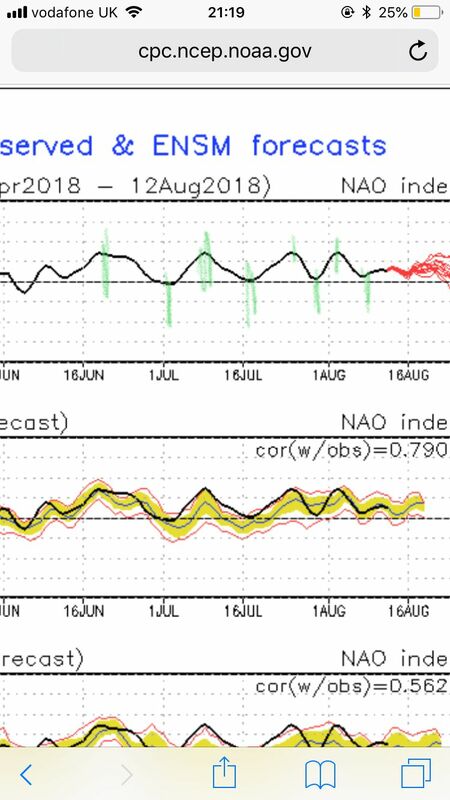 The latest model output appears to be heading more Nino-like during the weekend in response to the ongoing Pacific tropical activity, but then more Nina-like as they continue to show it decaying away. If they're right, a more changeable regime most likely continues into the following week, just with more ridging than in the week ahead. 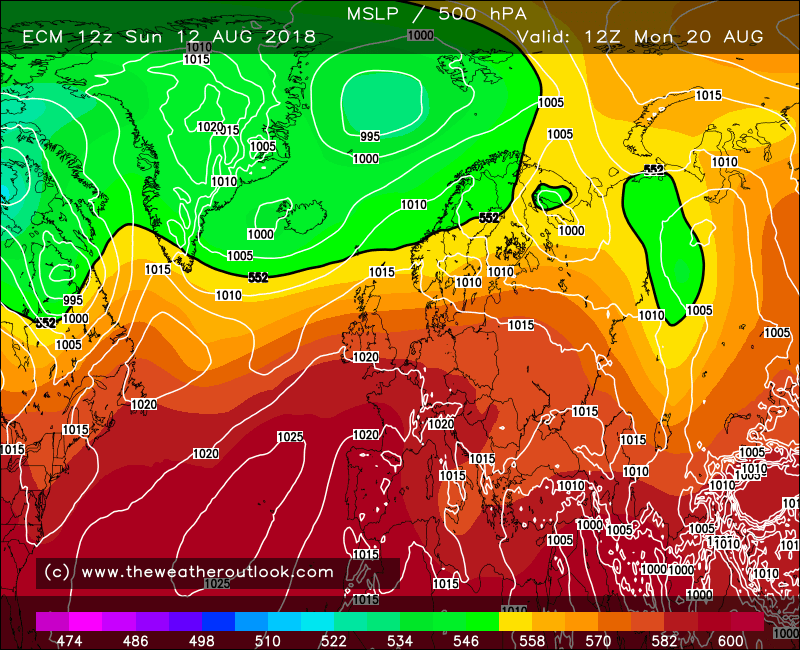 BUT if recent trends to keep the MJO more active continue instead, then we most likely see high pressure sticking around with warmth advancing across from the near continent. Have a great Sunday everyone (whatever the weather...). Morning runs continue the trend of the last few days for the week ahead. Changeable weather - warmest and driest in the south/SE, wettest and coolest in the N/NW. some rain for all on Monday and Thursday. 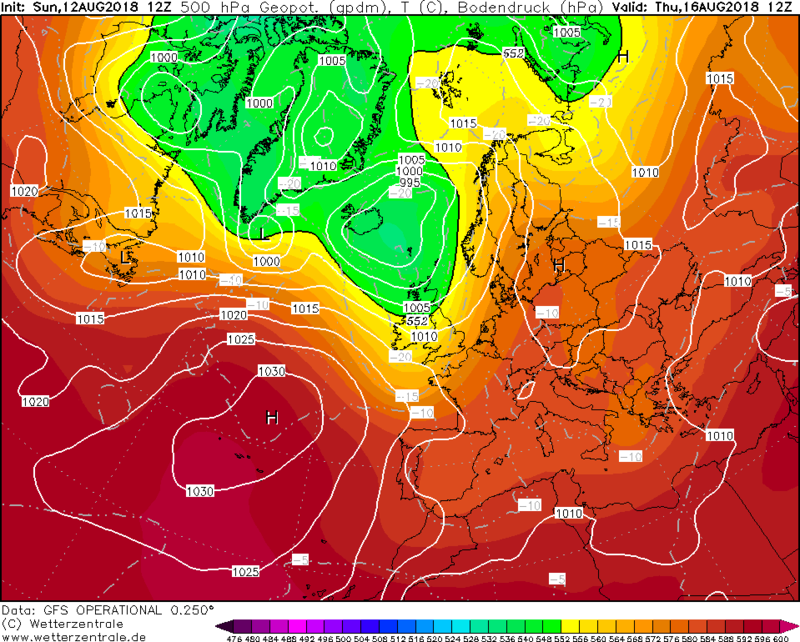 Tuesday and Wednesday look dry and warm in the SE/E Anglia with temperatures possibly up to 26/27c in some spots. 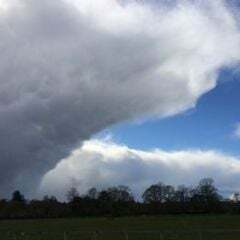 More unsettled for all on Thursday with a cold front sweeping down the country. 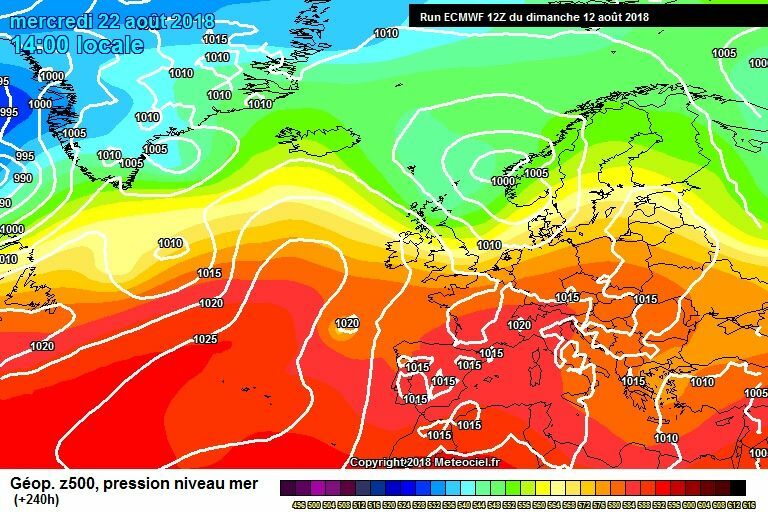 Then breezy on Friday with more rain in the north. 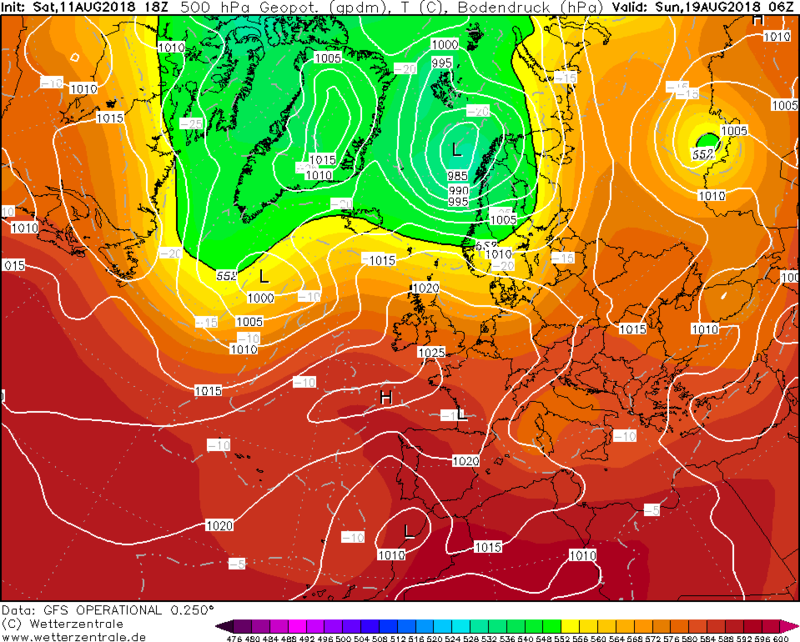 Things settling down again on the weekend, particularly in the south, but pressure starting to build further north too. Good 12 s to come, think I said something similar yesterday, it was a bit mixed then, how so today? The weekend sees the N/S split continuing rather than a more sustained build of pressure north according to the GFS and UKMO this afternoon. 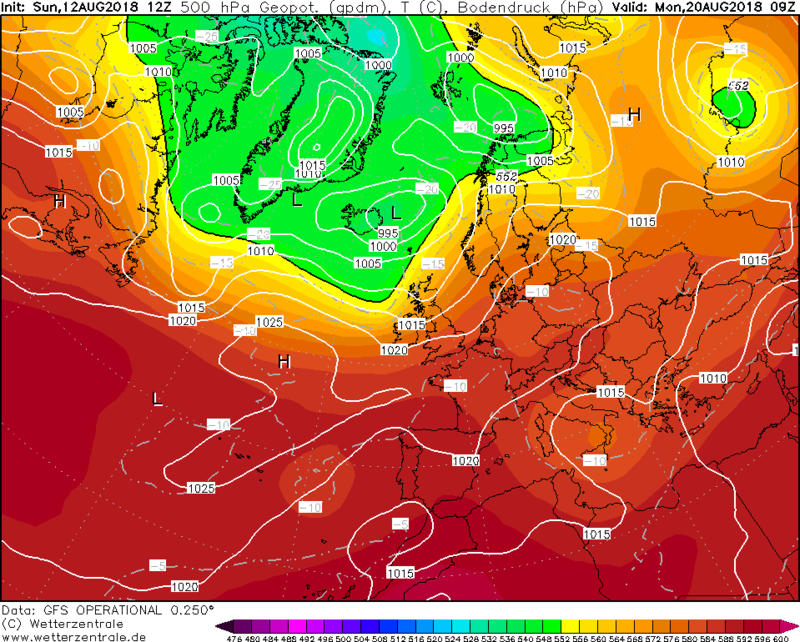 Keeping quiet at the moment in here, summer doldrum period..
Models in the reliable maintain a broadly westerly flow, always wettest and coolest the further north west you travel, with the SE continuing to see some decent conditions at times, with sunny warm periods. 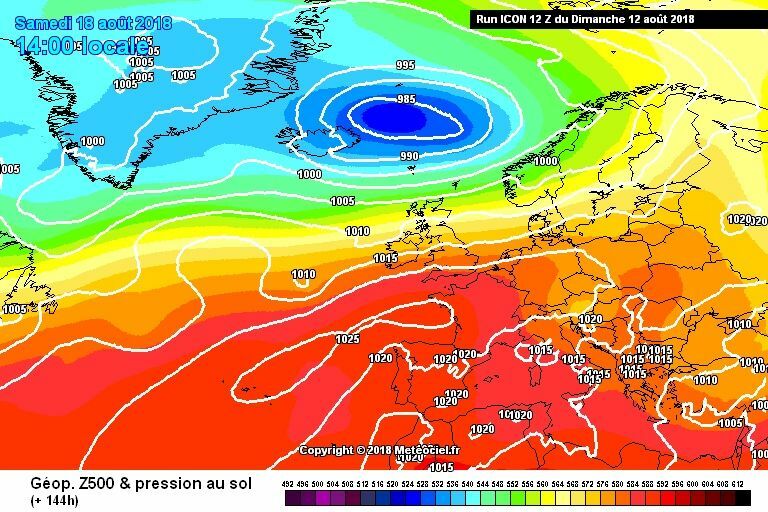 As we enter next weekend, the north west / south east split looks to continue, as we see pressure nose NE behind the frontal feature set to move through the UK on Friday. Question is whether this builds sufficiently north to advect the jet further to the north, or whether it struggles to do so, and we see a flatter option take hold, meaning more rain and cooler weather for the north, and less heat in the south. 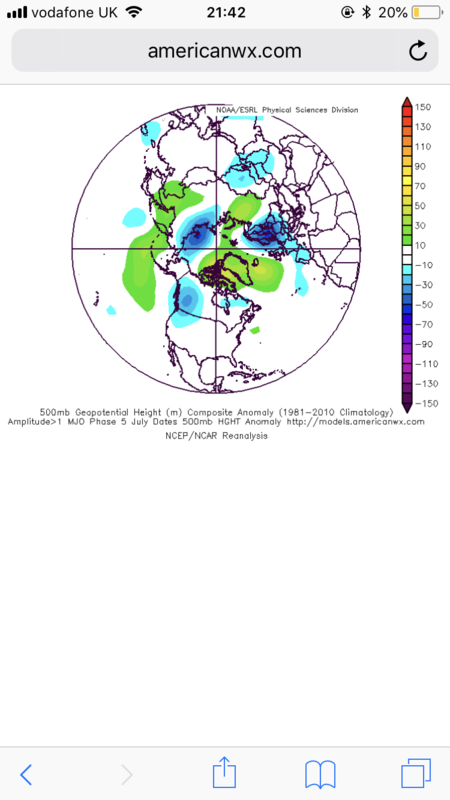 I'm reading a few posts that keep mentioning the El Nino base state - however, I don't believe we are in an El Nino yet, more a transitional phase, indeed conditions look ENSO neutral at the moment, and perhaps it is this factor which might scupper some of the forecasting going for more pronounced ridge development to the end the month with the trough held far to the west. It remains to be seen. 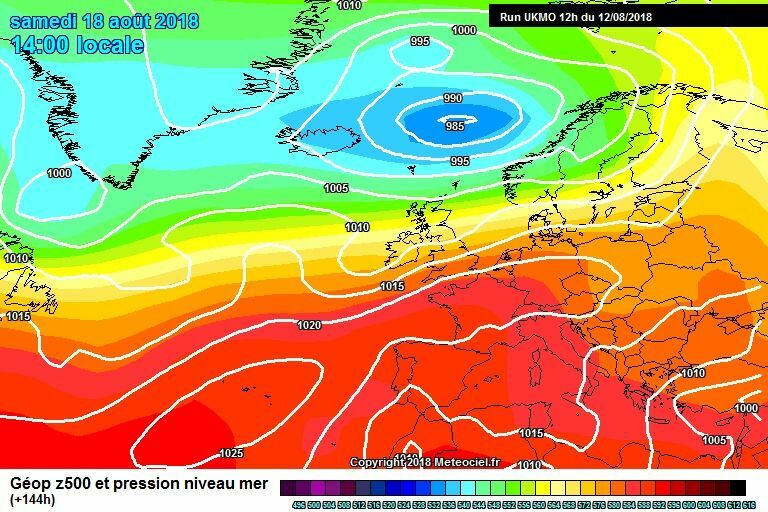 It would be a bonus to record a dry warm sunny August bank holiday - especially given how wonderful the two May Bank Holidays were. However, you look at things, we are far from the base state we were in from late April through until late July, and we are now entering the time of year when hurricane activity can throw spanners in the work (even though 2018 is I believe predicted to be a quiet year hurricane season wise). 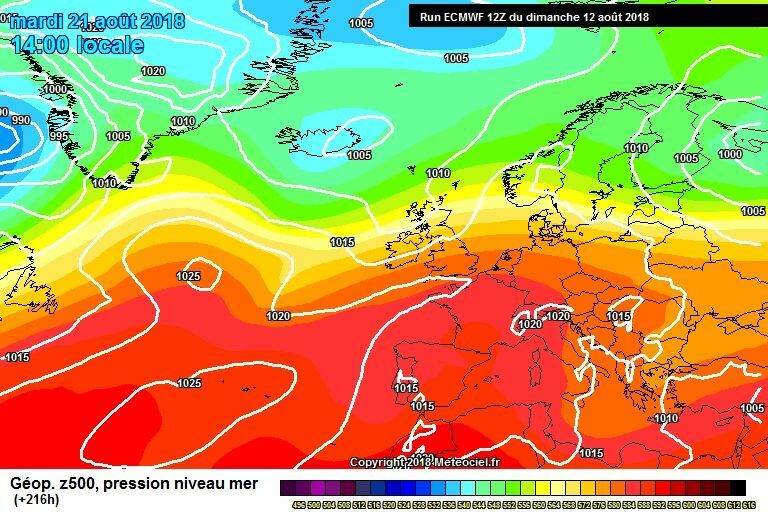 Looks like the Atlantic has just woken up enough to prevent any long lasting or decent high pressure builds like earlier in June and July...temporary better spells before it flattens out again looks most likely to me. 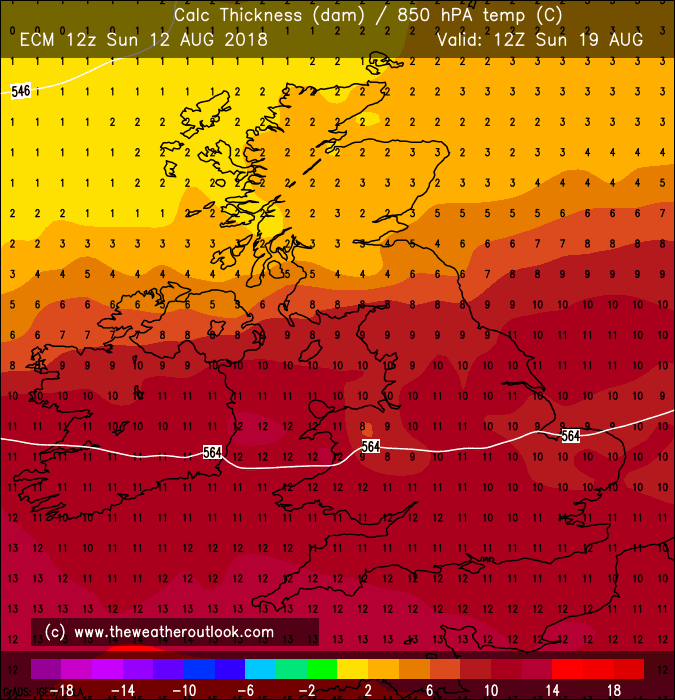 I think on the whole a return to summer is looking more and more likely especially in the south. 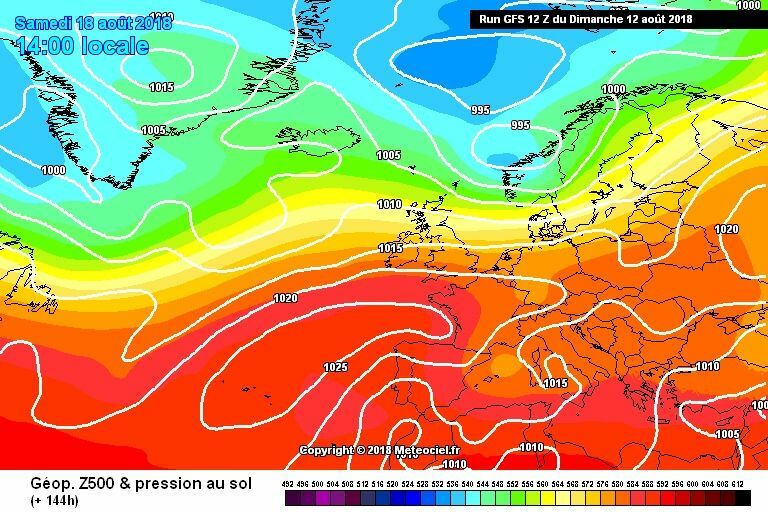 Tuesday /Wednesday already promise to be good days, bit of a blip Thursday /Friday but thereafter it looks like an excellent weekend and then probably Monday /Tuesday as well. 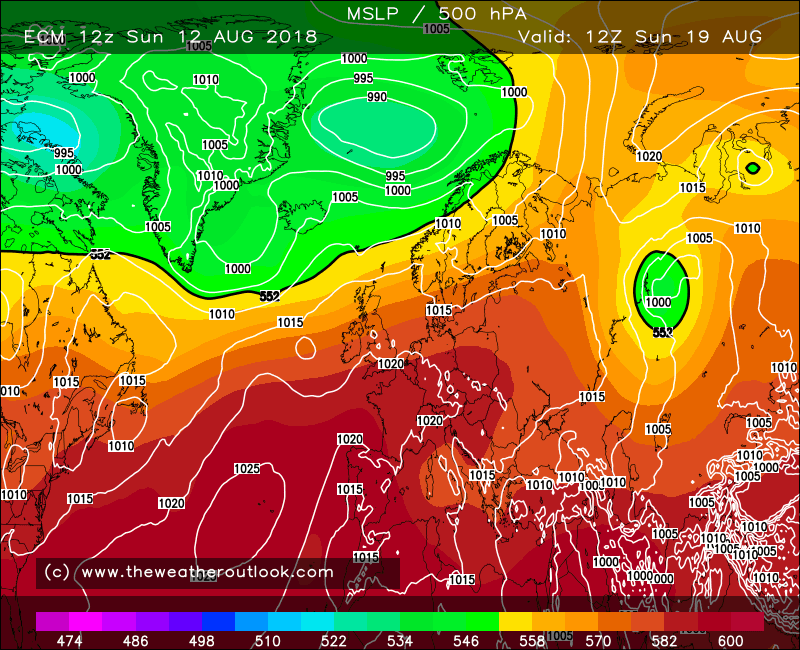 A further interruption possible, but actually not inevitable - in the north it will be hard to stay settled for long, but I think an equal chance of it staying good in the south all week (20-24 Aug). The El Niño base state is developming more in the atmosphere rather than ocean, though the ocean should follow suit at least a little (mainly C PAC) in the next week or so. This lead by the atmosphere is, I believe, one of the reasons why the models are struggling so much to show any consistent changes. 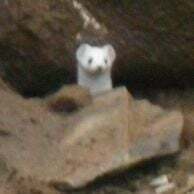 It also lends much uncertainty to the timing of events as far as practitioners of the teleconnection theory are concerned.  Hence a weekend timing to the transition stage is at about 70% confidence in my mind, which is far from a secure outlook. 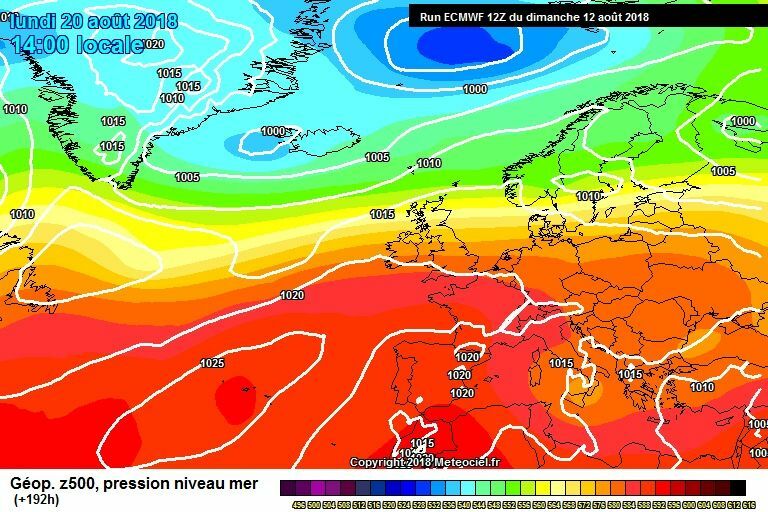 Hopefully August isn’t going to be as much of a pain as possible and take until early-mid next week to start a sustained pattern shift, but it’s on the table, sadly enough (though things could be worse - under a Nina regime we’d have little prospect of improvements this month and even a chance it turned more ‘vigorously’ unsettled!). Yes agree. 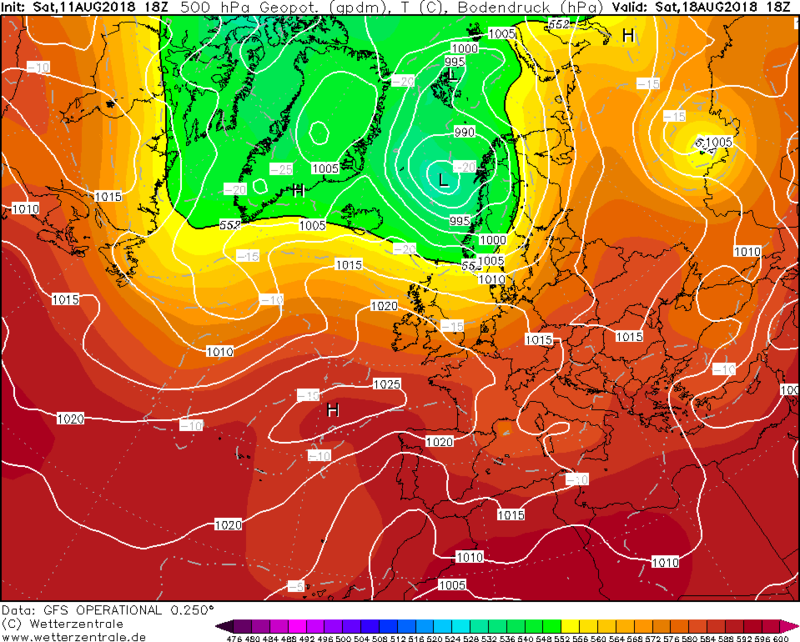 Over the last 4/5 days we’ve seen the jet digging south enough to bring a lot of unsettled weather to all parts. 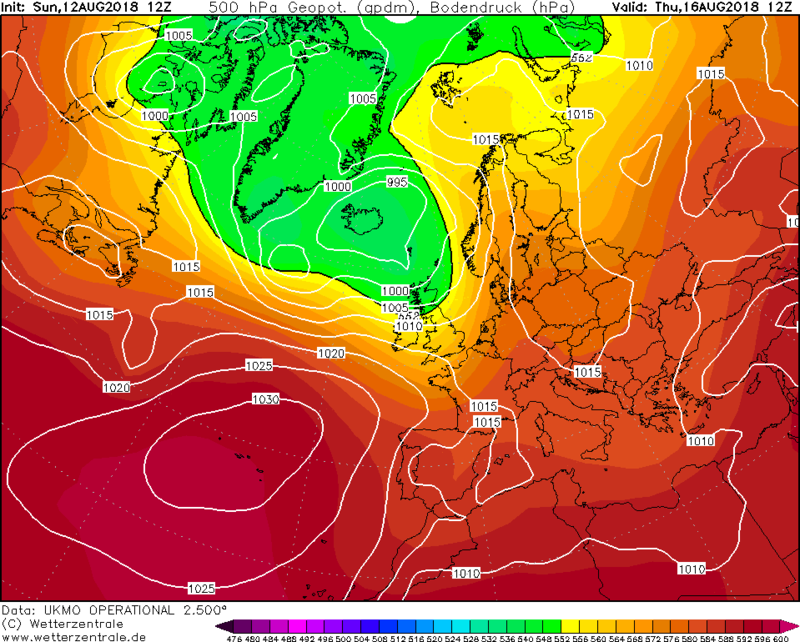 As the week progresses the unsettled weather will mainly be confined to the north, barring the blip on Thursday. 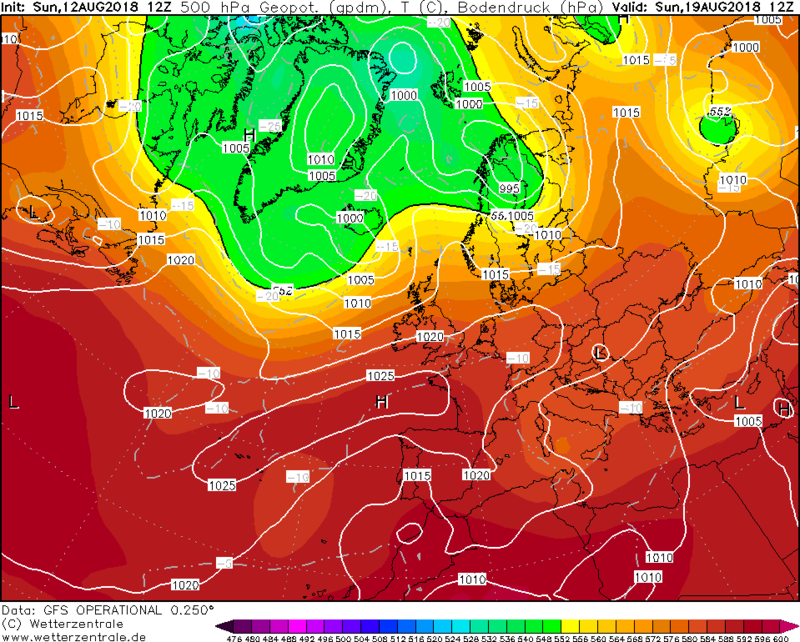 No heatwave, but pleasantly warm with 25/26c on Tuesday and Wednesday and then warm again into the weekend and early next week. Edited August 12, 2018 by Frosty. 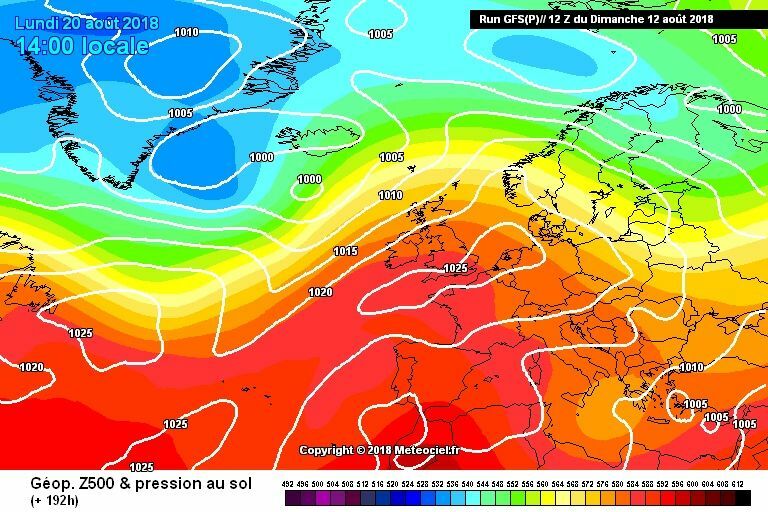 but all the while promising for high pressure to reassert itself, more runs needed, but signs of a last hurrah for summer are possible, watch this space! 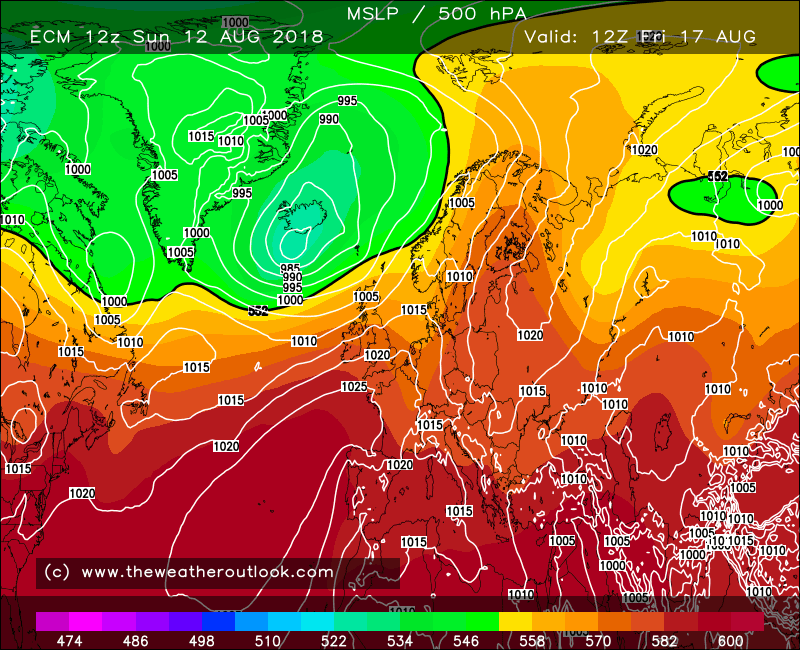 And I really like the GFS parallel /FV3 12z at T192, I wouldn't be surprised if this was what actually happened ! 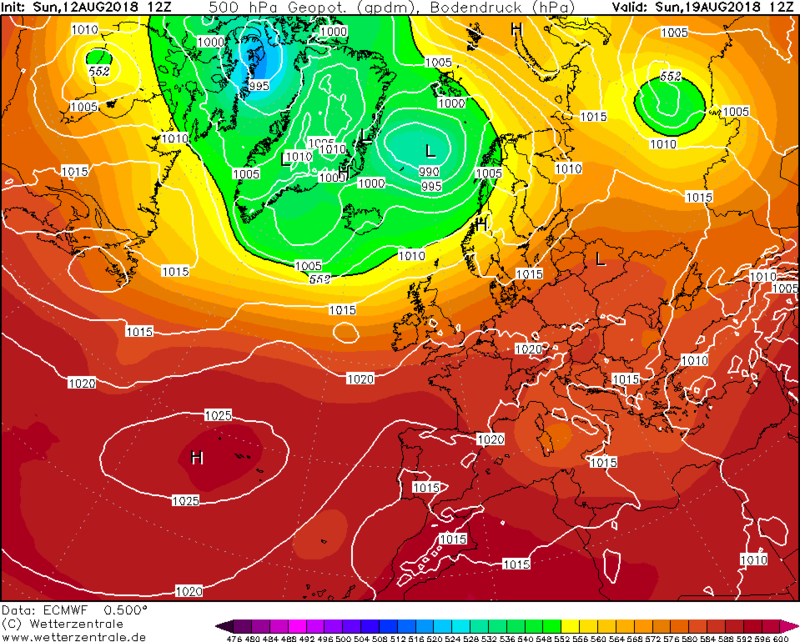 A north / south split on the Ecm 12z, the northern third for the most part cooler and more generally changeable throughout whereas central and especially southern uk enjoy some summery weather at times with just the occasional cooler less settled blip..ergo, plenty of warm and indeed potentially very warm surface conditions further south / southeast for the next 10 days according to this run. 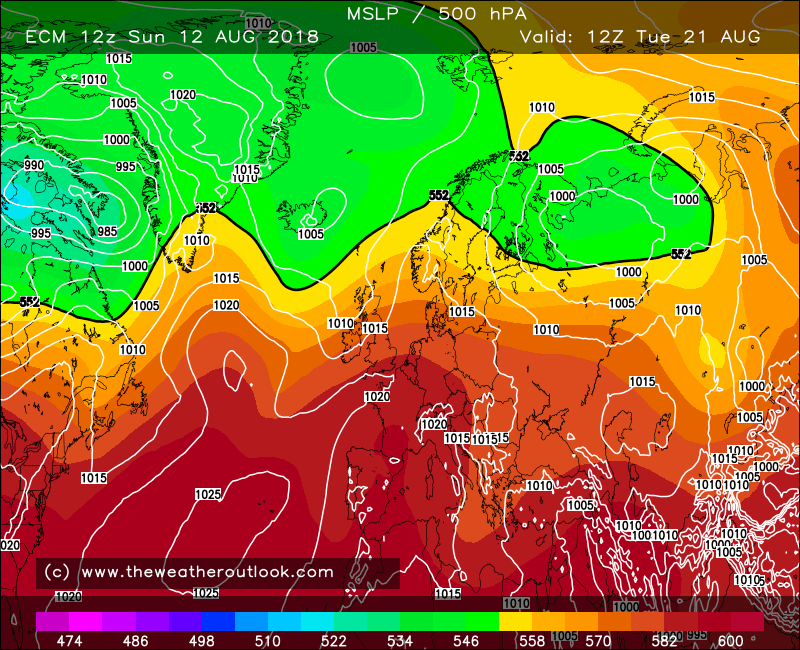 The models are so resistant to shutting down the westerlies - but they're weaker when comparing the 12z ECM with the preceding 00z ECM, and my eye is drawn to all that heat building to the south. 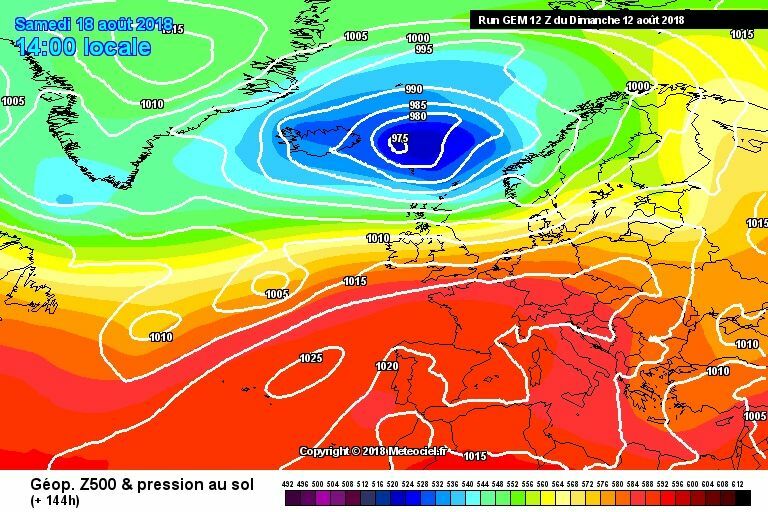 If the models are as wrong as I suspect they might be to replace the trough to our west with a ridge early next week... need I say more? Almost like clockwork, this; observed convective signal defying model projections and remaining really quite active instead of starting to decay, longer-term projections for the next MJO cycle initiation point shifting more into phase 5 instead of 4. 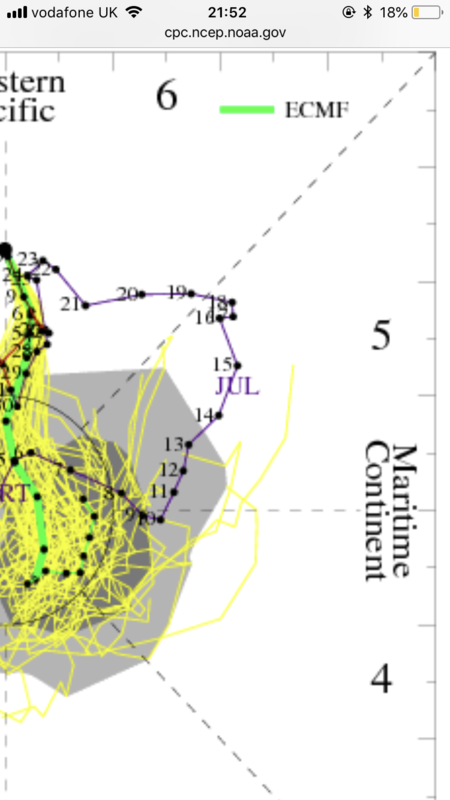 Note how the bias-adjusted version on the right is more toward the western Pacific phases (5/6) than the unadjusted version. The model charts we mostly look at use the unadjusted, likely even more wrong projections. I've actually been impressed by the persistence of the convective signal at such high amplitude lately. It seems that the atmospheric Nino base state is more developed than I had thought across the C Pacific; it's strongly attracted the climatological enhanced convection to that region while we wait for the next actual MJO cycle to get going again. 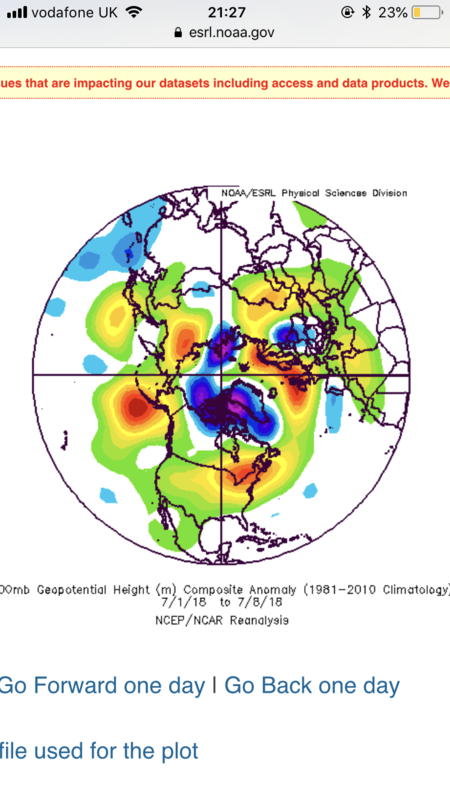 The historical composites for MJO phase 7 indicate Atlantic troughs digging down west of Europe, so if the convection continues to remain active in that phase instead of decline, that has the potential to help the anticipated pattern shift get going sooner rather than later. Something to keep an eye on, as persistent enhanced convection in a given MJO phase region can have similar impacts to the actual MJO moving through, albeit not usually as pronounced. 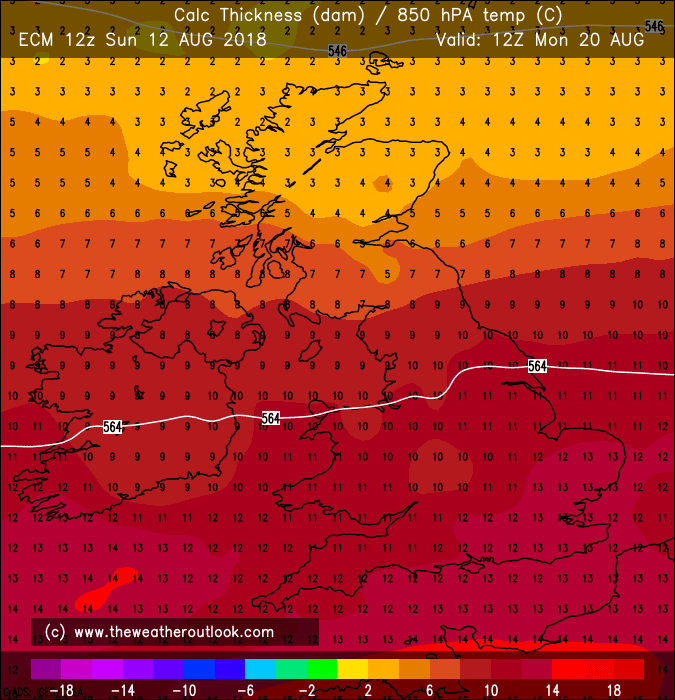 ECM quite at odds for temperatures as early as Tuesday - showing 28C in the south east (raw data) . Most other models back at 25C. These global forecasts have a lot more relevence to the pacific & US - but much less so to the UK. 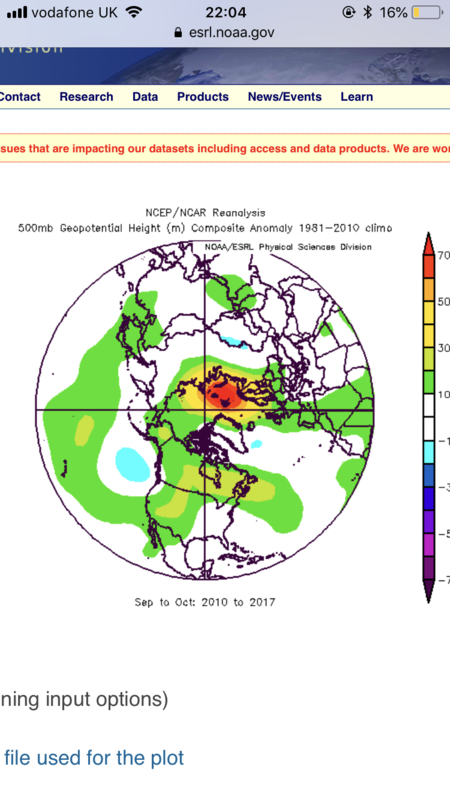 Also as we edge towards autumn you many want to think to include the polar cell ( as already cited ) & its short term climate changes as its making significantly more impact on the globe than the ENSO / GWO signature. Its not so straightforward as it matters whether the MJO is stalled or propagating east. An eastward propagating MJO through phases 5/6, such as seen last month, sends AAM upward in a manner that’s increasingly useful for holding onto a warm pattern as the month progresses. 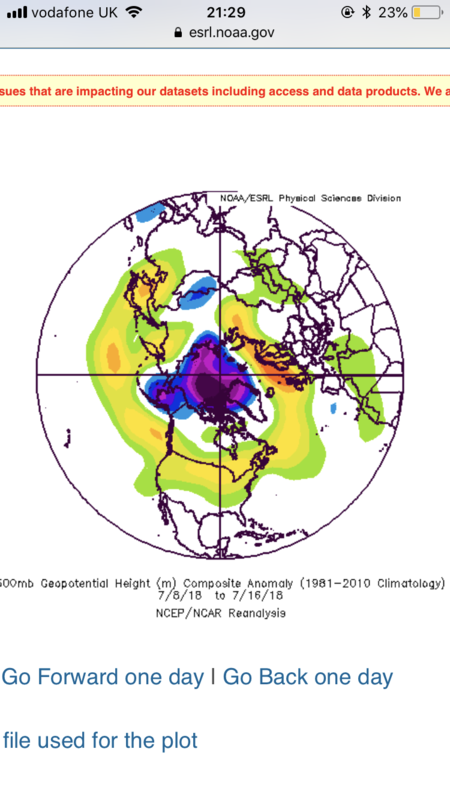 The settled regime did go above and beyond the usual, though, thanks to some modification on top of this by low sea ice and the unusual Atlantic SST anomaly pattern.